KPO is the outsourcing of specialized domain based skills and high-end knowledge. It is increasingly considered a crucial process for companies of all sizes to remain competitive in a rapidly changing business environment. Unlike in BPO where the focus is on executing standardized routine processes, KPO involves processes that demand advanced information search, analytical, interpretation and technical skills as well as some judgment and decision making. The practice of using outside firms to handle work is a familiar concept to many entrepreneurs. Small companies routinely outsource their payroll processing, accounting, distribution and many other important functions -- often because they have no other choice. Many large companies turn to outsourcing to cut costs. In response, entire industries have evolved to serve companies outsourcing needs. But not many businesses thoroughly understand the benefits of outsourcing. Its true that outsourcing can save money, but thats not the only (or even the most important) reason to do it. 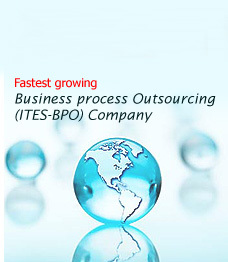 Knowledge process outsourcing (KPO) is the outsourcing of specialised domain based skills and high-end knowledge. It is increasingly considered a crucial process for companies of all sizes to remain competitive in a rapidly changing business environment. Unlike in BPO where the focus is on executing standardised routine processes, KPO involves processes that demand advanced information search, analytical, interpretation and technical skills as well as some judgment and decision making. Complete e-Accounting under Quick books,Sage Accounting, Peachtree, Myob,etc. 1040 indiviuals US tax returns, trusts , corporates ,non-profit organisations ,etc. under Lacerte Tax , Pro Series and Taxwise. VAT returns for UK and US. Accural and Cash Write-up works. Accounts recievable and Accounts Payable Management. Reconciliation of Banks and credit card statements. Auditing of books of accounts. Consultancy as per Indian Tax Laws. Company Law Matters as per Companies Act. E-Filing of documents using FTP. Consultancy for setting up of new ventures in India. Issuing of Digital signatures Certificates within India. According to GlobalSourcingNow, KPO is expected to reach USD 17 billion by 2010, of which USD 12 billion would be outsourced to India . In addition, the Indian KPO sector is also expected to employ more than 250,000 KPO professionals by 2010, compared with the current figure of 25,000 employees. A report by Evalueserve predicts that India will capture more than 70 percent of the KPO sector by 2010. Apart from India, countries such as Russia, China, the Czech Republic, Ireland, and Israel are also expected to join the KPO industry. We have specialized departments that focus on various areas of Knowledge Processing Outsourcing.